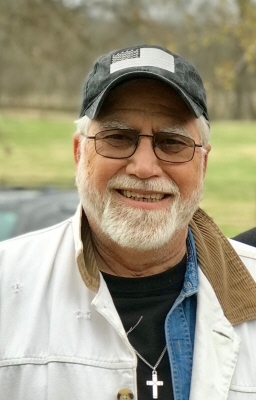 Sherman Paul Miller passed peacefully at home with his loving family and best friend by his side on April 10, 2019, at the age of 68. Sherman was born on September 21, 1950 in Tulsa, Oklahoma, to his parents, Sherman and Mary (Wear) Miller. He and the love of his life, Kerin Didlake, were married on May 23, 1981 in Ponca City, OK.
Sherman was a devoted family man and friend. He absolutely loved and adored his children and grandchildren. He was an avid outdoorsman, who enjoyed numerous hunting and fishing trips with his sons and lifelong friends. Sherman and Kerin enjoyed road trips, whether they were exploring the Oklahoma countryside and its many lakes or traveling to Seattle or Niagara Falls. Their favorite vacations were those with the entire family, most recently to the mountains of Colorado. Sherman was a history buff; he especially enjoyed visiting historical battlegrounds and old prisons. He was an avid reader and especially enjoyed reading Louis L’Amour books and watching John Wayne westerns. He spent most of his career working as an Automotive Service Advisor in the Tulsa area. Sherman leaves many cherished memories with his family and friends; his loving wife, Kerin; son, Andy and wife Kristi Miller; daughter, Carrie and husband Terry Laughlin; son, Seth and wife Amanda Miller; grandchildren, Lauren Miller, Emily Miller, Delaney Rae, Lydia Laughlin, Luke Laughlin, Lane Miller and Zoe Miller; lifelong friends Mike and Dorene McMahan; brothers- and sisters-in-law, nieces, nephews, cousins and many other loving family members and close friends. He is preceded in death by his parents; and siblings, Patricia Davis, Rose Lee Heaton, and Herman Miller, and is survived by a brother, Jerry. The family requests memorial contributions be made in Sherman’s name to the Oklahoma Department of Wildlife Conservation, PO Box 53465, Oklahoma City, OK 73152. The family will receive visitors from 5:00 PM to 7:00 PM Monday, April 15, 2019 at Schaudt's Tulsa Funeral Service. Services celebrating Sherman’s life will be held 11:00 AM, Tuesday, April 16, 2019 at Schaudt's Tulsa Funeral Service Chapel with Pastor Brandon McCombs officiating. The family would like to invite everyone to join them after the services for a reception in the Schaudt Funeral Service reception area. Interment will follow at Floral Haven Cemetery in Broken Arrow. To send flowers or a remembrance gift to the family of Sherman Paul Miller, please visit our Tribute Store. "Email Address" would like to share the life celebration of Sherman Paul Miller. Click on the "link" to go to share a favorite memory or leave a condolence message for the family.